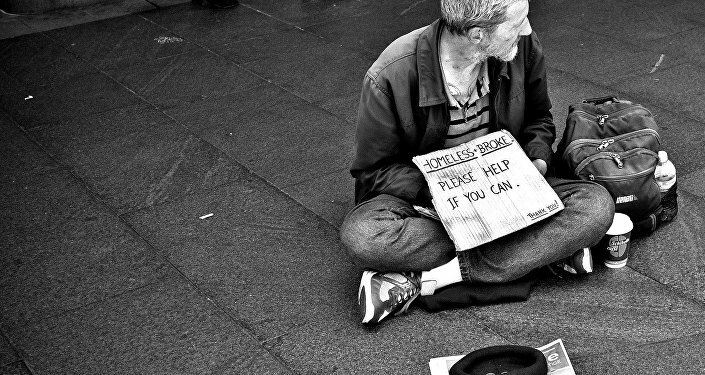 Homelessness in Britain is expected to reach levels previously witnessed in Victorian times. 275,000 people sought help from their local authority to find a roof over their head in 2015, an increase of 34 percent since 2010, according to charity Crisis. The 1906 Departmental Committee on Vagrancy suggested there were between 20,000 and 30,000 so-called permanent vagrants in England and Wales. The modern day equivalent to that figure is the 75,000 people relying on hostels and 7,581 people sleeping rough in London in 2015, according to figures from the Greater London Authority. Academic Luke Davies, who researches the history of homelessness at University College London, suggests that the Conservative Government's new Housing and Planning Bill is going to widen the social inequality gap even more, leaving society's most vulnerable people without shelter. Recent homelessness figures show that the number of households registering as homeless in 2016 rose by six percent in England — and 10 percent in London, compared with last year. And these figures are expected to soar once the Housing Bill comes into effect. Councils have warned that more people will end up homeless as a direct result of the bill. 90 percent of English local authorities surveyed said their housing supplies for social tenants would significantly drop. Findings from the Local Government Association (LGS) survey also reveal that local councils are concerned the bill would make housing waiting lists even longer. The bill aims to promote so-called starter homes and boost home-ownership, but critics of the bill say it will lead to the loss of 80,000 council houses in the next four years and drive people into the expensive private rented sector leaving them with little or no opportunity to save for a home of their own. "The sale of empty high value council assets will enable receipt to be reinvested in building new homes that better meet local needs as well as supporting home ownership through right to buy." But the Local Government Association said more affordable rented accommodation was needed — not less. "With 68,000 people currently living in temporary accommodation, annual homelessness spending of at least US$473 million (£330 million) and more than a million more on council waiting lists, it is clear that only an increase of all types of housing — including those for affordable or social rent — will solve our housing crisis", councilor Peter Box, LGS spokesman said. The Housing Bill will be scrutinized in the House of Lords on April 11, 2016; all members will be given another opportunity to make any changes to the bill. A #MarchWithTheHomeless gathering will take place in Whitehall in protest of the treatment of homeless people in Britain on April 15, 2016.